Our universe overflows with galaxies left and right, pushing further and further apart due to mysterious dark energy. 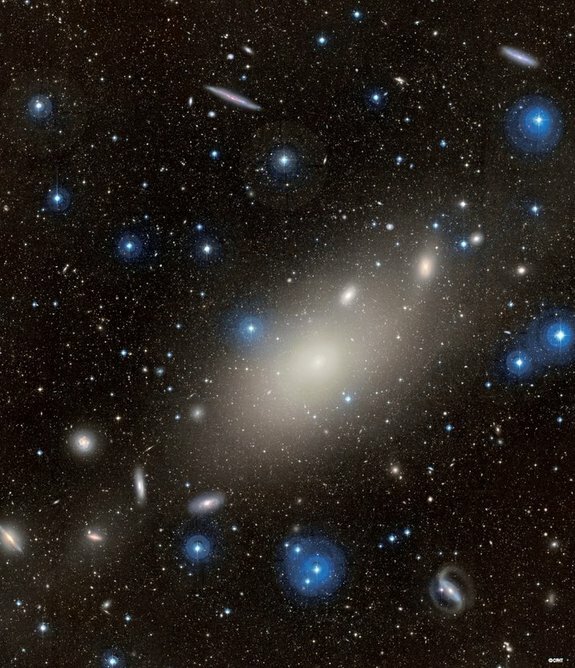 The nearest cluster to our own galaxy, the Virgo cluster, measures nearly 50 million light-years away. This photo captures multiple galaxies spaced around a massive elliptical in the center, all located within one branch of the Virgo cluster.